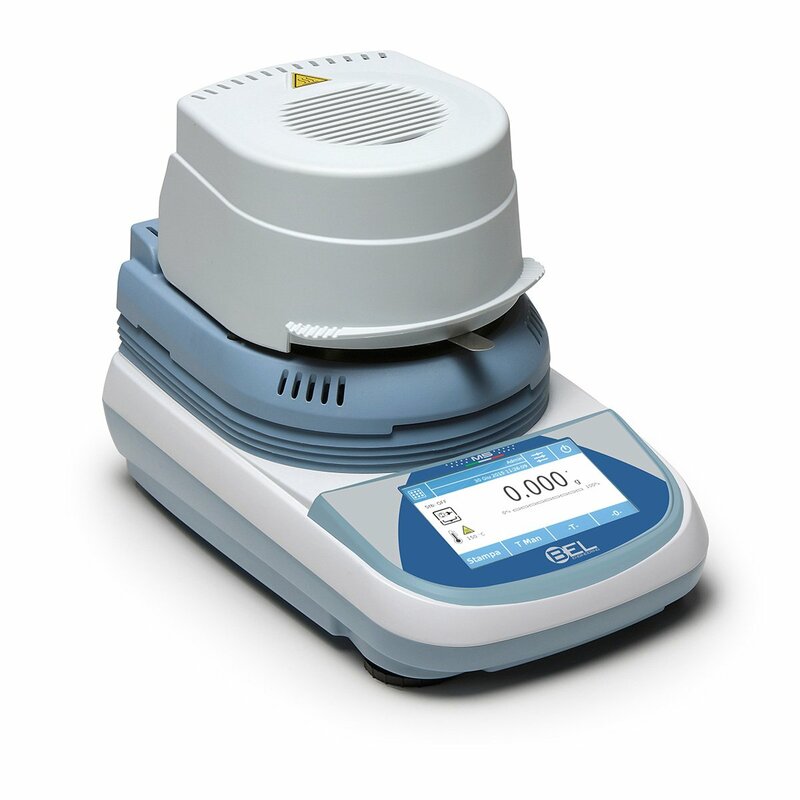 M5-iThermo balances are moisture analyzers with large 5’’ color touchscreen display that gives a user-friendly access to all the moisture analyzer’s advanced applications and internal databases. 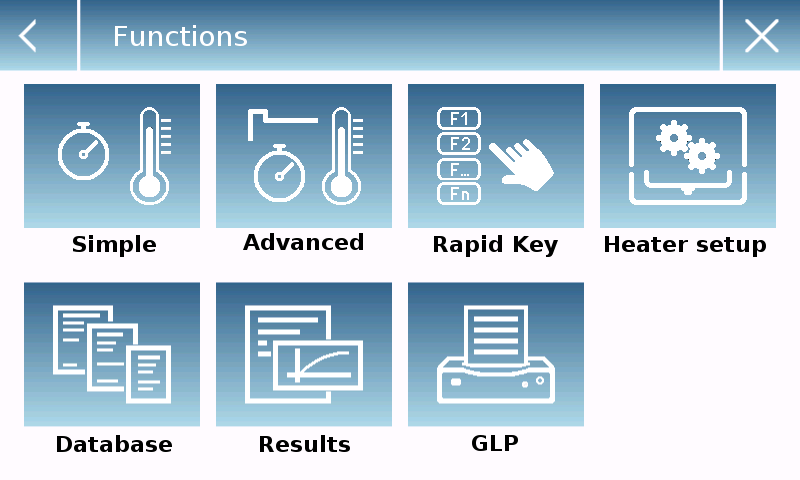 The user has easy and intuitive access with fast programming of drying cycles, thanks to icon-driven menus. This means more efficiency, productivity and interactivity. A double case structure protects the heart of the balance: an aluminum inner case and a composite plastic external case. 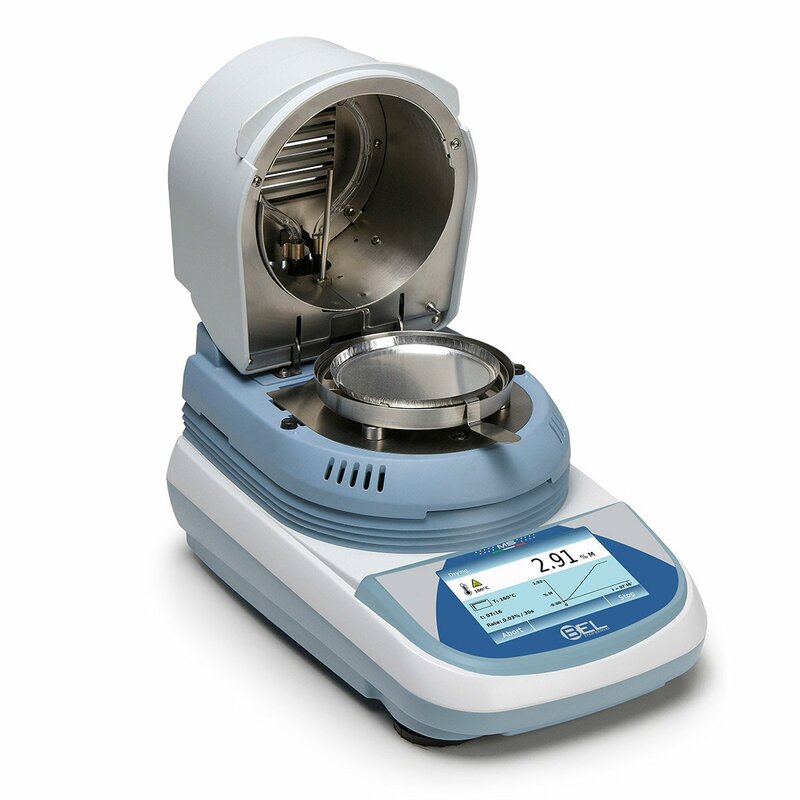 The many on-board functions already included, the possibility of calibrating the internal thermometer using the optional KIT (STCi-02), up to 6 operating languages, the large 5’’ inch display and the RS232 serial output close the circle of a complete product, reliable and truly convenient. 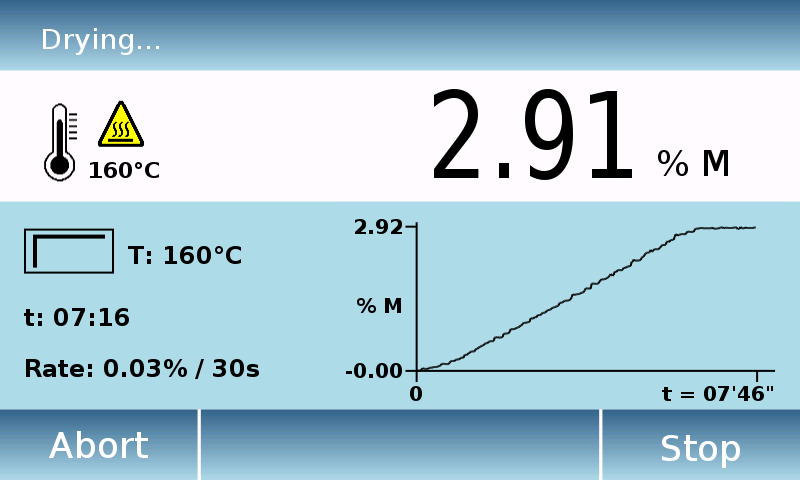 The models in the family allow to reach up to 0,001% drying resolution. 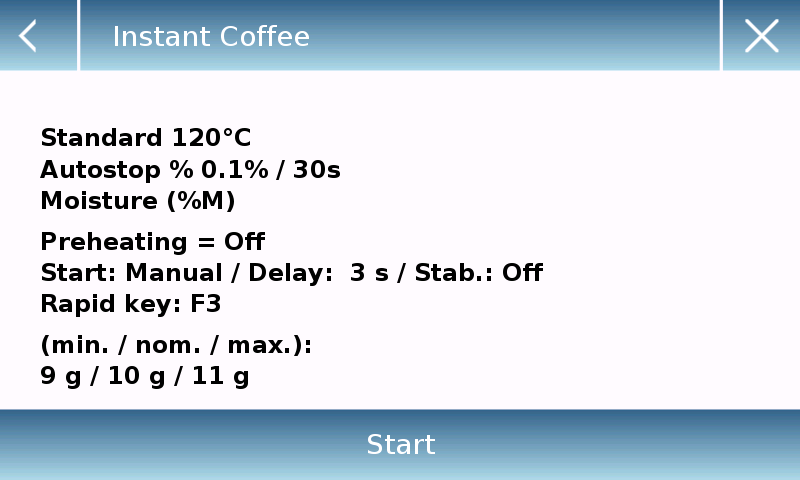 Serial output for connection to printer, USB port for export or import database, test results, etc. 220-240Vac. (at request 110V) 50/60Hz.